After trimming the fat, I put the beef in the freezer to firm it up for ease of slicing. You want it to be firm enough that it doesn’t deform or slide under your knife, but still soft enough to slice without having to saw through ice. It took about an hour for the beef to get to this stage. 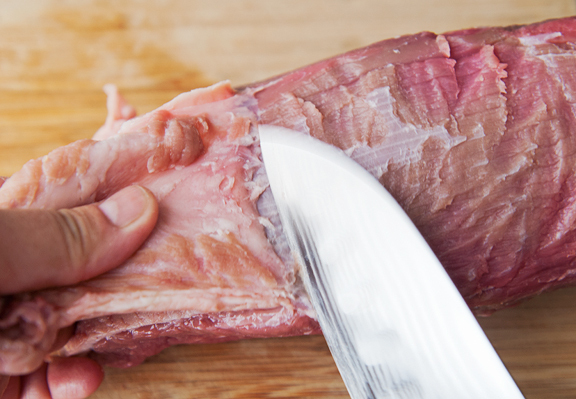 I recommend cutting the beef into 1/4-inch thick slices at a minimum. Remember that the pieces will shrink quite a bit in the dehydrator (or oven if you are using one). Any thinner than 1/4 inch and you will have beef chips. I also cut my beef against the grain. I think beef jerky is usually cut with the grain so that you have something to really chew, but I know Neva isn’t a huge fan of chewing food and I could imagine her trying to choke a strip of jerky down. 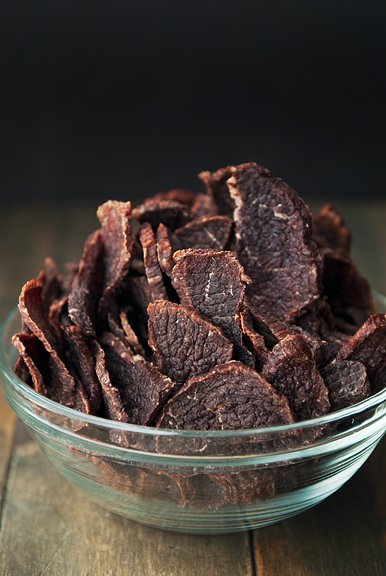 Cutting against the grain makes for an easily chewable and breakable piece of jerky. But if your dog is good about actually chewing its food, then cutting with the grain might make for a satisfying chew and treat. And while humans like to season or marinate their beef before drying, my dogs are perfectly happy with and probably healthier eating plain old beef without added salt or seasonings. 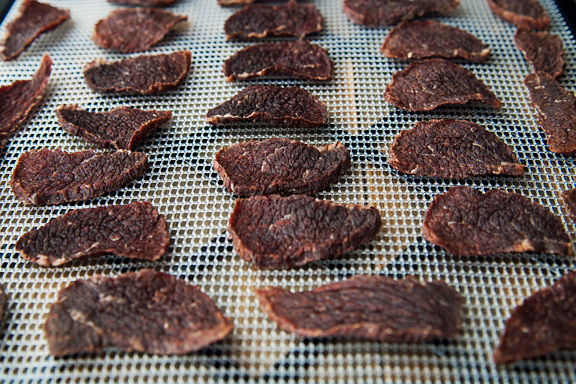 The guidelines in my dehydrator booklet suggested setting the temperature at 155°F (the maximum on my device) and running it for 4-8 hours until a piece of jerky cracks on the outside, but remains intact inside when you bend it. 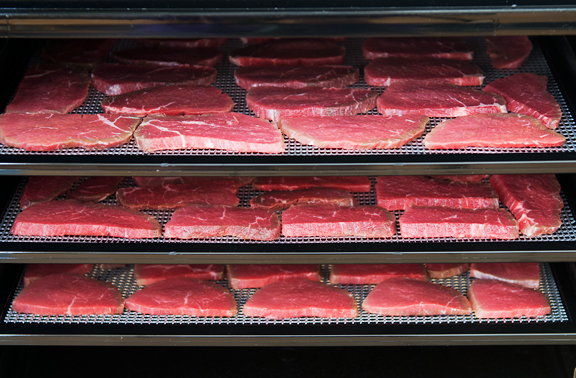 The more humid your environment, the longer it may take to dry your beef. My jerky took about 6 hours. 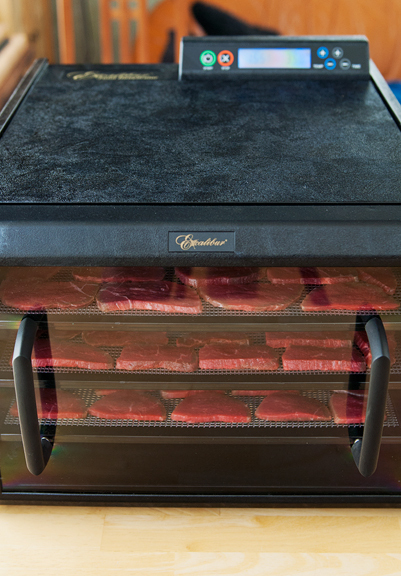 If you are making your jerky in a conventional oven, it will take anywhere from 10-14 hours – and remember to leave the door cracked open so that the moisture can escape. I’ve only made this with my dehydrator. 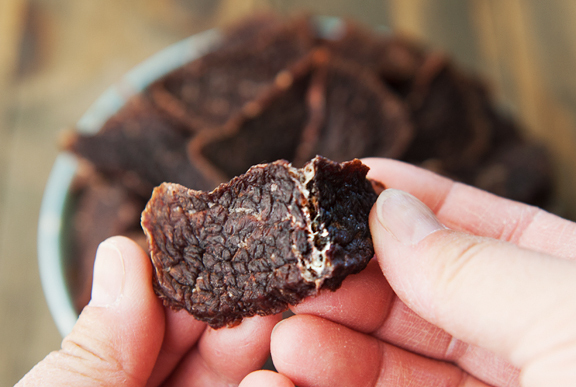 These jerky pieces store well in an airtight container or bag at room temperature. I think if you have somewhat chewy pieces (as in, some moisture in the jerky), you should probably store them in the refrigerator or freezer. 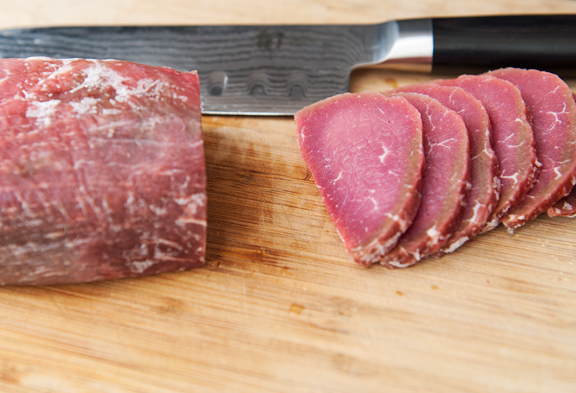 And if you plan to store the jerky for long term, definitely keep the airtight containers or bags in the freezer. Three pounds of beef were converted into a single pound of jerky. I thought they would last Neva through the summer along with all of her other treats, but it looks like I’ll need to make another batch since Yuki loves them and they work so well for training. 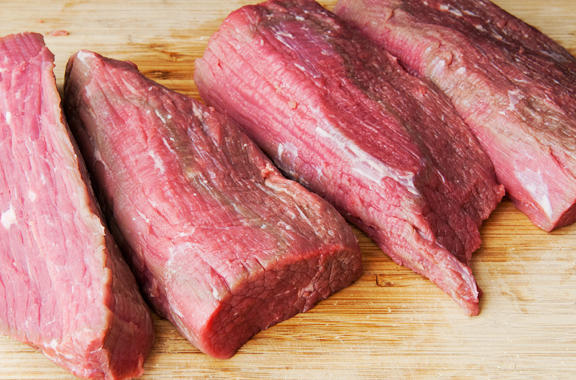 Trim the steak of any fat (fat reduces the shelf life of the jerky). 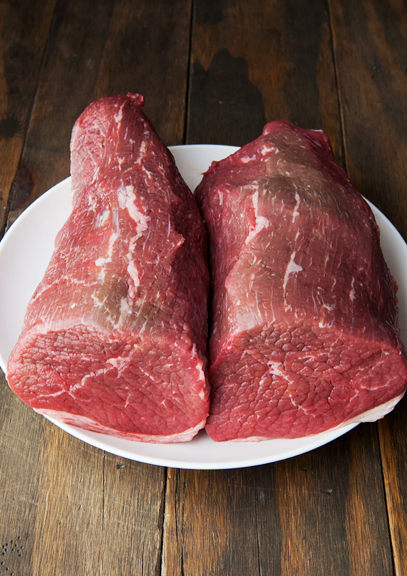 Place the steak in the freezer for an hour until it is firm, but easily sliced. Cut the steak into 1/4-inch thick slices against the grain for ease of chewing and breaking, or with the grain for a treat to be chewed. 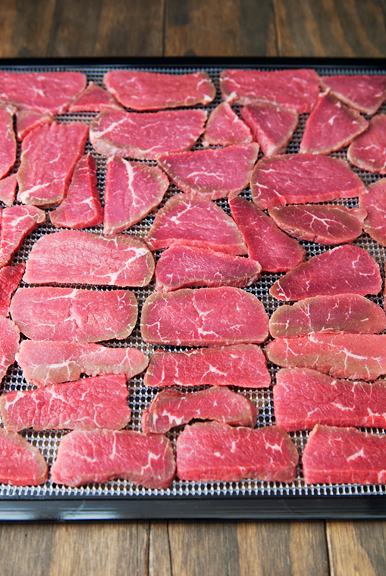 Arrange the slices in a single layer on your food dehydrator trays. Dehydrate the beef for 4-8 hours (I did ours for 6 hours) at 155°F. The beef jerky is ready when the outer layers break, but the center holds together when bent. Alternatively, if you don’t have a dehydrator, you can use an oven. Arrange your meet in a single layer on aluminum foil lined baking sheets. Set the oven to 165°F and bake the beef with the door slightly ajar (to let moisture escape) for 10-14 hours. Store the jerky in airtight containers or bags. If longer than 1 month, store in the freezer. 3 lbs. of eye of round translated to 1 lb. of jerky. Thanks so much for the great recipe, Jen, and I love the new addition to your family. You are right…such a serious little face! Congratulations to you all! This post brought tears to my eyes. 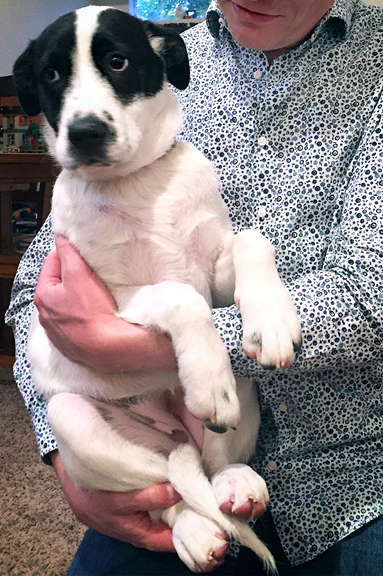 Looks like Yuki is a great fit for your family. Congrats and bravo to you for rescuing her! Your mom told me about your website and I have real it for several years and used lots of your recipes. And followed all the posts about your dog(s). This one is great and Baxter and Carrie (both res use terrier mixes) will be so happy when I make the jerky for them. You guys will quickly learn that actually having two dogs is easier than one. They learn good behaviors from each other, calm each other, and play together. A win all around! This is so wonderful on so many levels. If only there were enough good people to adopt ALL of the animals. I couldn’t love this post any more! So happy for you all. Especially Yuki! Now will you adopt me? You won’t regret adding Yuki to your family. Dogs are pack animals and they love having companionship (in addition to their human family). Neva’s behaviors are very normal adult:unrelated puppy behaviors. Many adult dogs don’t like puppies following or jumping on them. It won’t be long until they will be completely bonded and won’t want to be without each other. 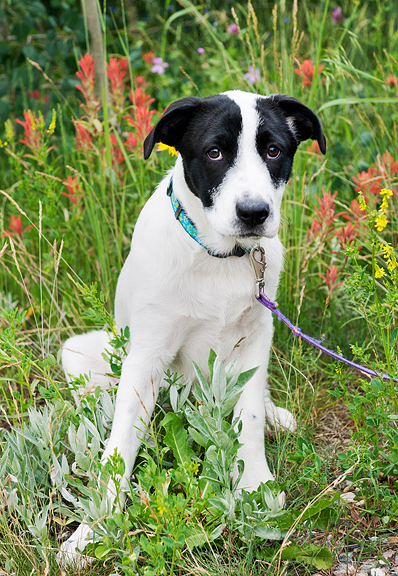 A self-assured dog like Neva can be just the confidence-builder a shy-ish pup needs. I’m so glad you took the plunge. You are a foster-mom’s dream owner. 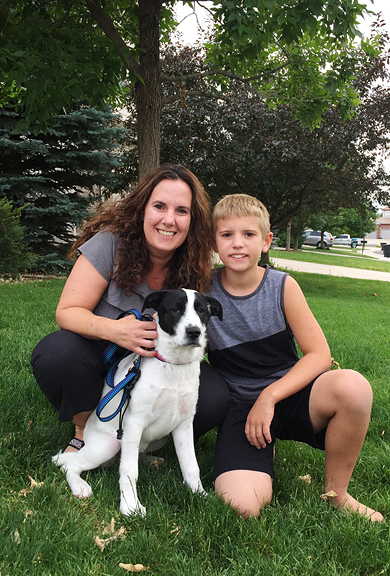 That helps the foster family more than you know to see their beloved charge get the best home ever. Looking forward to Neva/Yuki adventure photos!! Congrats on your new addition, so cute! Obviously, meant to be. Enjoy! What a great story and a happy ending for Yuki and all of you. I really identified with the change in your “certainties” of your earlier years and find myself having the same things happen to me. Changing views, seeing the good along side the bad in situations or people, and considering things I’d never have before. I just love your blog, everything about it. Thank you for sharing your creativity, gorgeous photos, and wonderful recipes. Recently the phrase “I am certain of nothing” has been playing over and over in my mind. Its funny how the younger me felt pretty certain of most things, and the older me now feels less certain of things. That life in general is organic and happens as it’s supposed to, no matter how much planning you put into it is more where I am now. The fact that you now have a puppy when once you felt as though you were only a “one dog family” is proof! and I’m so excited for you! She’s beautiful and so lucky to have you and Jeremy as her people. So happy for you and your pack! She is absolutely adorable. You made the right decision. I predict they will be lifelong pals. And I know what you mean about kind of falling in love when you least expect it. Last Wednesday morning I had no intention of adopting another cat. By Wednesday afternoon I was looking at available cats online thru the Dumb Friends League. Two hours later we were driving home with our new Kukki Cat (Kukki = Cookie in Japanese). And like you, we are amazed at how easily and quickly he has fit into our family like he’s always been here. Wishing you four much happiness!!! I know exactly how you feel about bringing another dog into your household. I had Charlie a 40 lb lab chow mix happily as an only child for 10 years when a tiny little rescue dog suddenly came into our lives. My mom called me and said there was a Yorkie puppy that needed a home or she would be put to sleep. I certainly had my doubts given that the dog was 2.3 lbs and Charlie, while not one to start a fight, did not back down when confronted. Well, Fergie, Duchess of Yorkie came into our house and they actually got along great. Charlie was gentle and even when Fergie finally crossed the line with her, treated Ferg in a manner appropriate for handling a little dog, never hurting her. Ultimately they found their places and Fergie, in true little dog form, ruled the roost. Charlie was ok with that and they coexisted great for another, almost 9 years before we lost our sweet Charlie. Now Fergie is the boss of us but I can tell she is bored and lonely so we are contemplating another dog. Much happiness to you both and your pups, they will be very happy together. 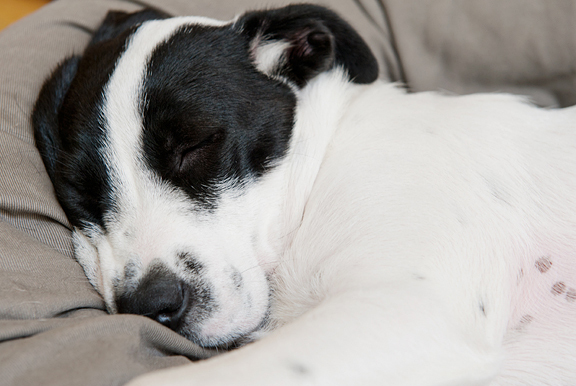 Your house will be a tad more chaotic but also better for the additional puppy love. I can see why her sad/sweet/serious face spoke to you. Congrats! What a lovely story, so happy for all of you. I found your blog Eleven years ago while recovering from a double mastectomy and found it comforting. I’ve read and enjoyed it since. I made your dad’s awesome massaman curry a couple of years ago and loved it. 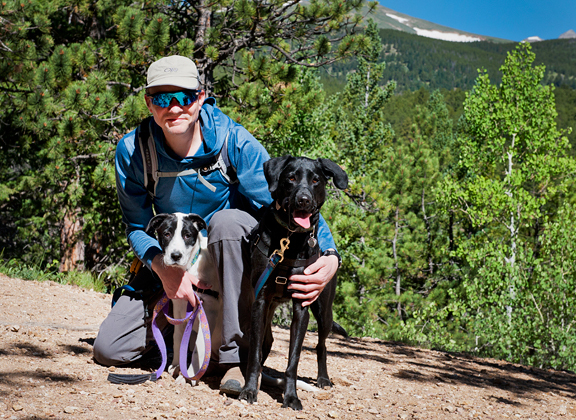 Thank you for sharing your photos, recipes and stories of your life in the beautiful mountains. Congrats mama and papa! Yuki is one lucky dog to get the 3 of you as her new family. All the best and looking forward to more pics. So right, on so many counts! Our “Luka” is your Yuki, especially the face, the black eye patches that often makes him look, yes, sad. (No docked ears though.) Luka was the dog in the next kennel when we were looking at puppies late last year. Right away, my husband said, What about that dog? He looks like a nice, steady dog. Nope, I answered without really giving him a look. We need a girl dog plus that dog’s going to be bigger than we want. Days passed and we “lost” our chance at not one but two puppies and said no to a wild girl who was identical (including the same calming tickle spot) to my own Lady, the lovely sweet dog we lost **sniff** a year ago. 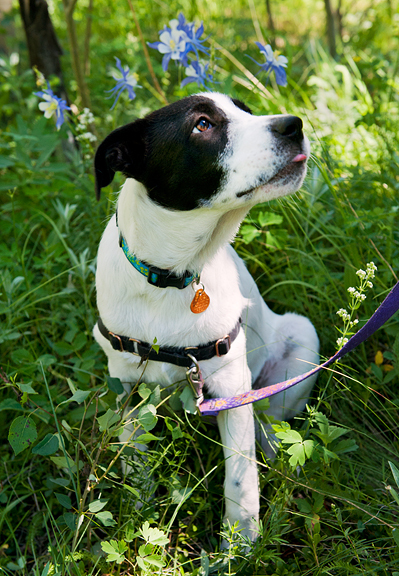 I kept checking the Humane Society’s website and that “steady” dog with the CUTEST FACE kept popping up and I kept looking at him. It was the FACE! Finally, I said, Okay, let’s go meet him. And needless to say, Luka came home with us and is a wonderful dog and is truly a joy to live with. He is a boy dog but really, no telling, and he added a couple of pounds but not much more. Off to play fetch with the Red Duck, the Blue Squeaky and the Orange Bone. Any idea what breed she could be? Such a cutie. This is so wonderful on many levels. Your honesty and fears ( all absolutely right to consider what the down sides of a second dog would have been) and how you came to your decision and introductions to Neva. What good pals they will become once Neva is certain that things will still be great for her. And a sweet sweet puppy rescued to the most amazing family. The homemade treats and dog biscuits! The hikes and nature walks in the snow and mountains. I am pretty sure they both hit the lottery! And you two as well. Will be fun to see this unfold. Thanks for the recipe. If you ever come up with cat treats I am in! Have 2 rescue cats running our home! I’m so , so happy for you guys! You just know when it’s right. You’re pups are going to be best friends in no time! Thank you for rescuing! There are so many dogs out there that need good homes. Glad she is settling in well & what a cutie. You will love having 2 dogs. Enjoy! So very, very happy for all of you. 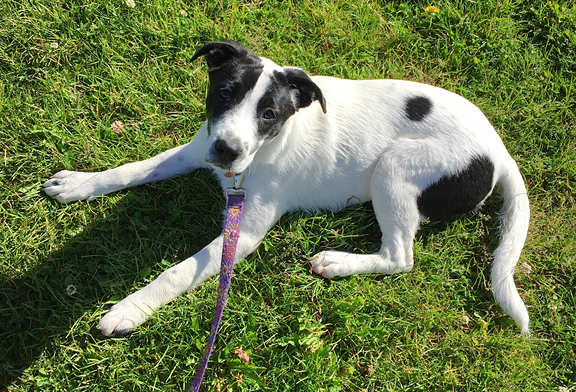 Yuki is absolutely adorable….she has a wonderful forever home with you! OMG, so cute! I’ll bet this pair will turn out to be “two dogs is easier than one.” Looking forward to Neva and Yuki pictures and stories! 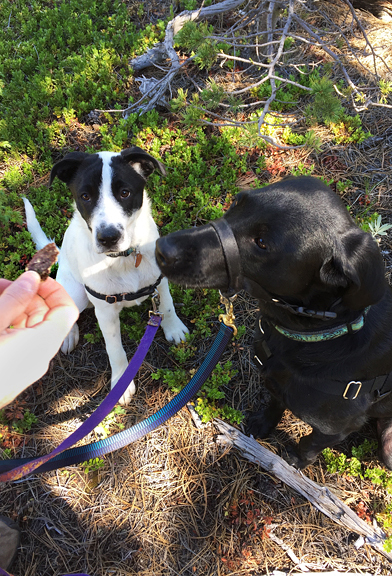 Susan – I hope Baxter and Carrie enjoy the treats! And we are starting to see the benefits of having Yuki in our family – she is a good influence on Neva and vice versa! Melanie – Thank you, dear. It’s reassuring hearing from dog-loving friends that they have had good experiences with 2+ dog families! Lisa - She really is! Sarah - I bet if you dehydrated salmon or chicken, the kitties would love it! farmerpam - I really hope so! Thank you! Jen, thanks for sending the introduction link for Yuki! Adorable, those eyes make my heart sink. Happy Spring!